My daughter uses her plastic step stool all the time and constantly drags is from room to room. So I decided to make a few of these to keep in the other rooms. I found the plans on Ana White’s website. She does good work. Really this was just good practice for me since I’m still getting my feet wet with the woodworking. Both are made out of pine. The first one is just sanded and clear coated. The second one is flat white with glossy pink and purple spray paint. I used stencils to get the names in white. 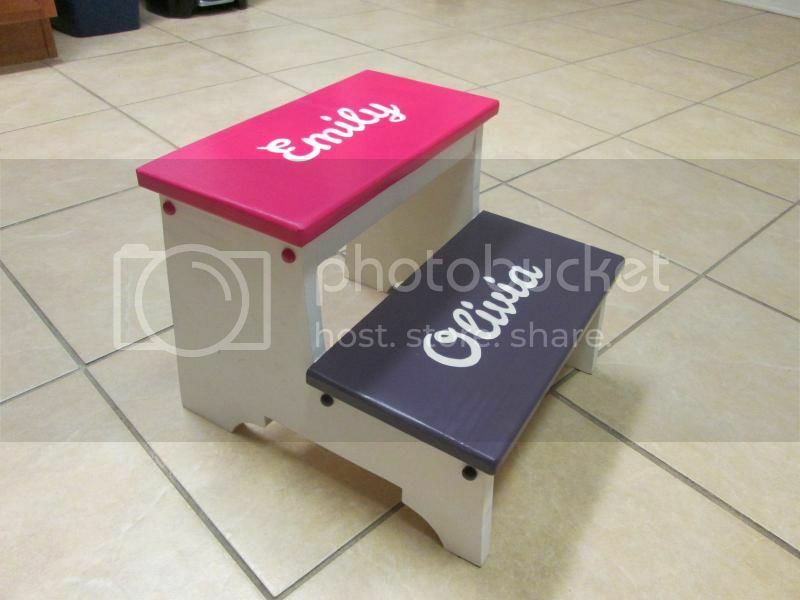 Great job on the step stools. 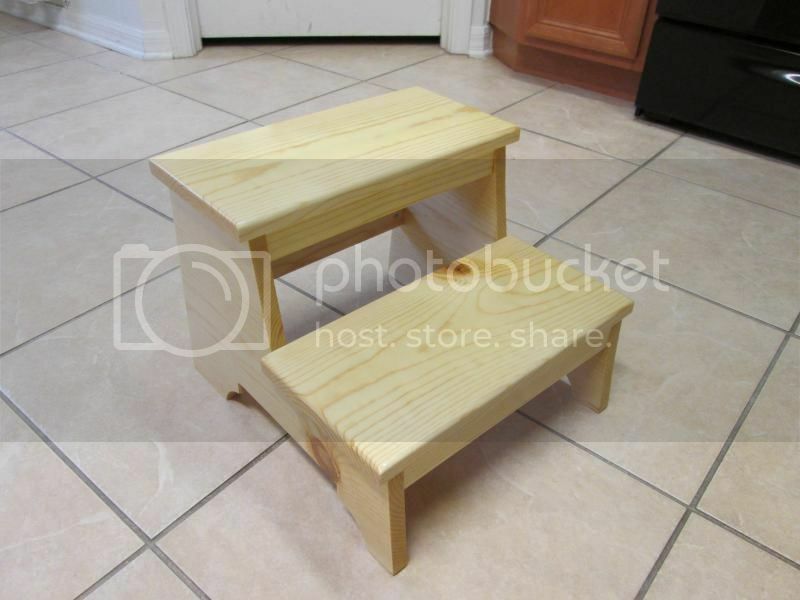 I recently finished a step stool myself and it was a fun project.